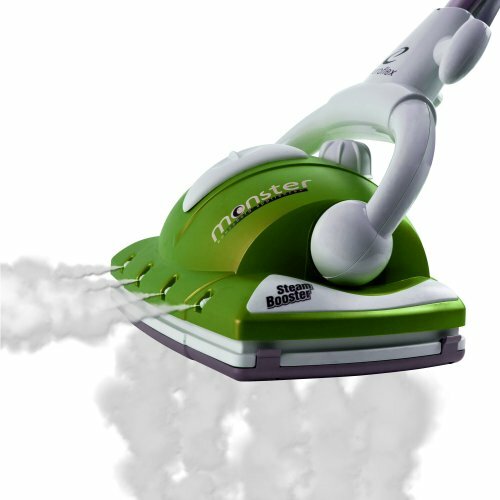 Blast away grime and sanitize at the same time with the power of pressurized steam. 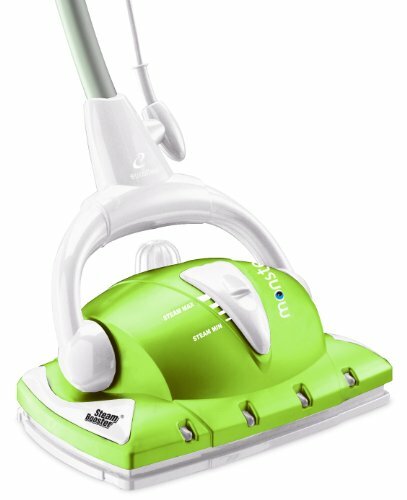 This Monster steam cleaner can kill 99% of bacterial contaminants, including salmonella and e-coli, on common hard surfaces seconds. It includes three accessories for all your around-the-house needs. Steam is delivered on command from the front jets on the base unit just squeeze the trigger on the handle. To stop the steam, simply put the handle fully upright. Patented technology. Say goodbye to wimpy steam clouds. The water in this unit is under pressure like a closed tea kettle, delivering steam under greater force.The Pressurized steam through the front jets loosens surface debris, hits baseboards, and gets into hard-to-reach corners. 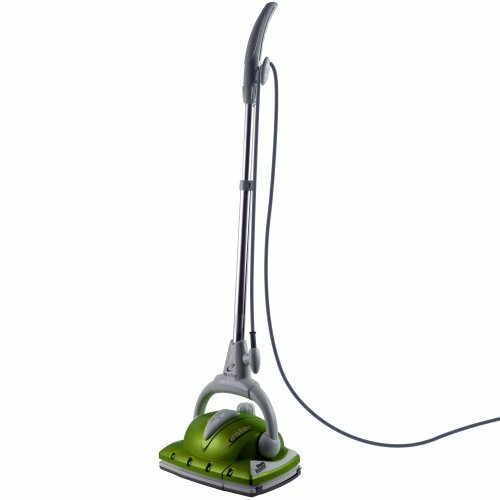 Bottom steam jets and hard-surface microfiber pads quickly cut through dirt on sealed wood, tile, stone, linoleum. 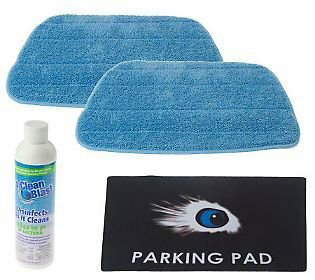 Grab the glide attachment and carpet microfiber pad to refresh and deodorize carpeting. 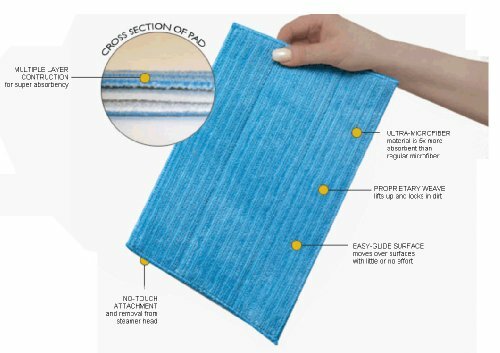 It helps eliminate odors caused by fire, smoke, and tobacco smoke, as well as musty and stale cooking odors. 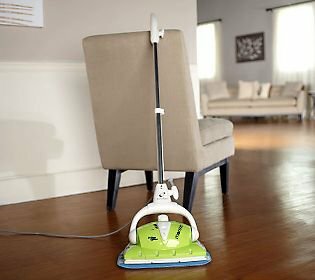 This steam cleaner leaves floors virtually dry so it can be employed as part of your weekly cleaning routine or right before company arrives. Get it now, and get one step closer to squeaky clean. From Monster.